The 30m Pulse PLS00331 XLR Stage Kit includes 30m Pulse PLS00331 XLR Distribution box with 12 x XLR input and 12 x XLR outputs. 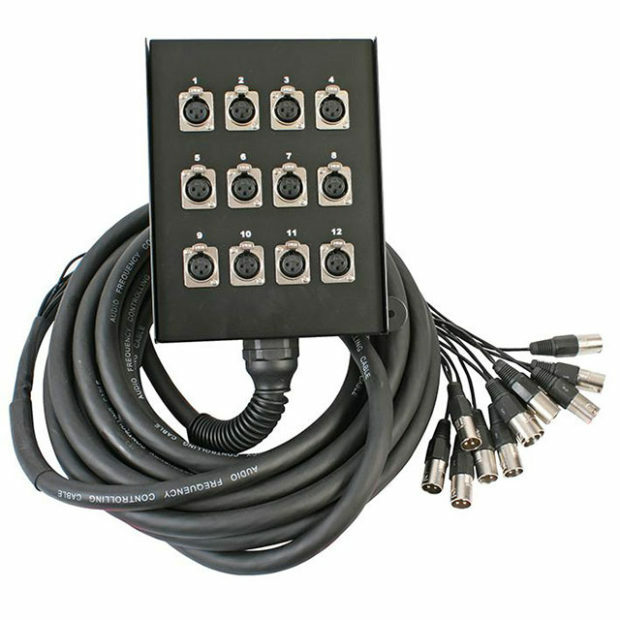 Ideal for live stage performances the 12-way Multicore stage box is designed for up to 12 XLRs to be connected on stage and the 30m cable connects directly into the mixer to allow all the work to be done from the back of the room. Want to learn more about mixing desks to rent? Contact ITR today.